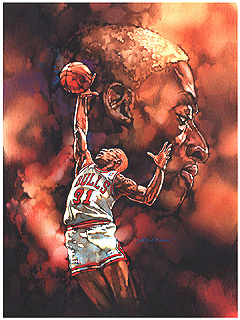 Welcome to the sports artwork of award winning artist Andrew Yelenak. Some of the original paintings shown are available for purchase. or visit the studio to see how a painting is created. Medium – Airbrushed dyes, colored pencil and acrylic on paper. Completed in 2002. 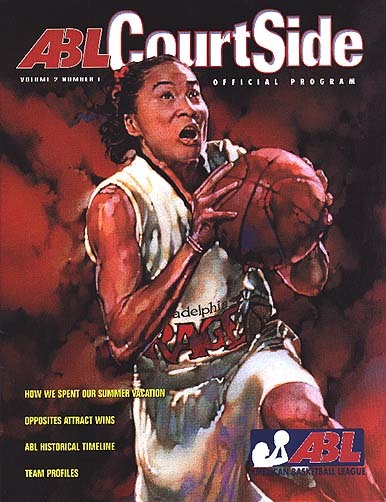 A portrait of Dawn Staley in action. 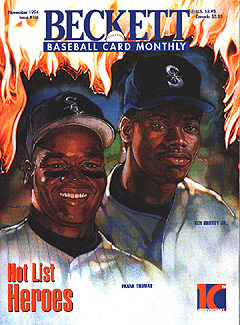 This is a program cover for the ABL's 1997 season opener. Price $1000.00 Email us for purchasing info. 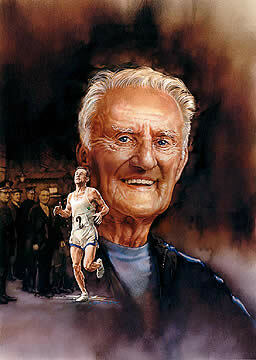 This painting was selected as a winner of the 1997 Beckett Sports Art Gallery National Contest. 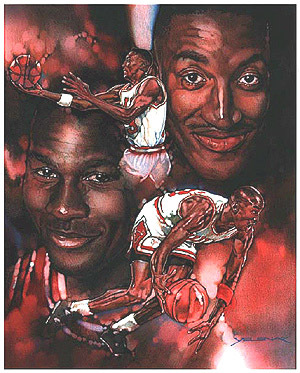 Originally published in Beckett's 1995 Great Sports Heroes Michael Jordan" book. Medium – Airbrushed dyes, colored pencil and acrylic on illustration board. Completed in 1995. Medium – Airbrushed dyes, colored pencil and acrylic on illustration board. Completed in 1993. Price $2000.00 Email us for purchasing info. 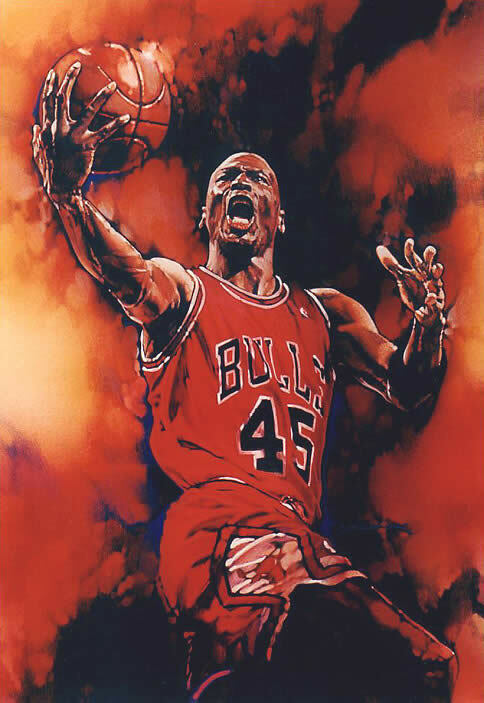 Medium – Airbrushed dyes, colored pencil and acrylic on illustration board. Completed in 1994. 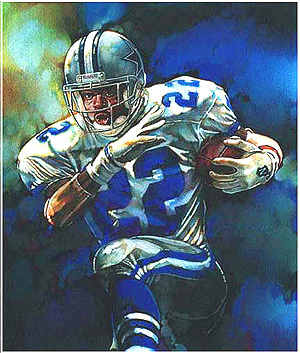 Selected as a winner of the 1995 Beckett Sports Art Gallery National Contest. 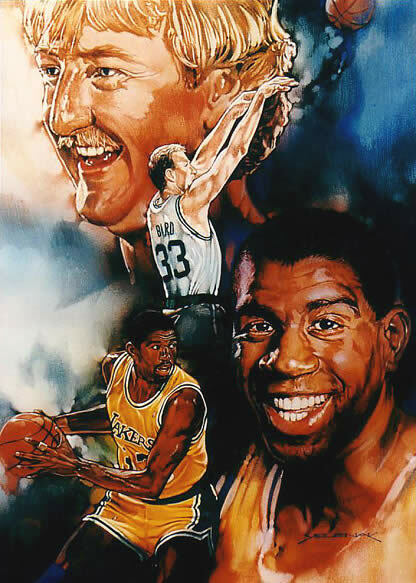 Originally published in the May 1993 issue of Beckett Basketball Monthly. Medium – Airbrushed dyes, colored pencil and acrylic on paper. Completed in 1993. 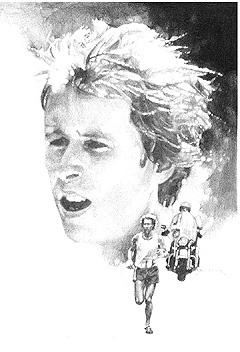 Published as part of the 1981Boston Marathon coverage in the Meriden Record Journal. Medium –Graphite on paper. Completed in 1981. Price $450.00 Email us for purchasing info. 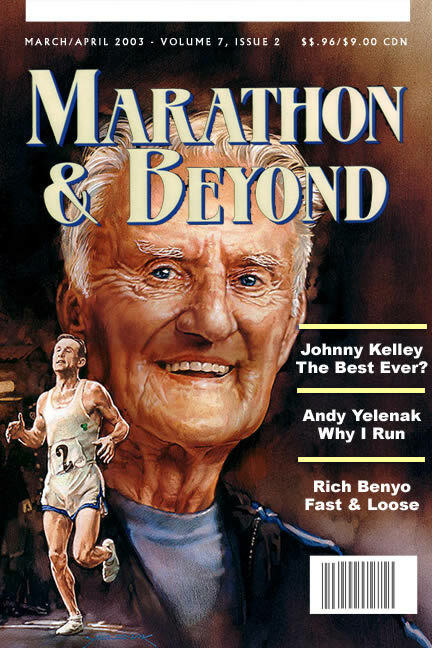 10th Annivesary issue, November 1994.